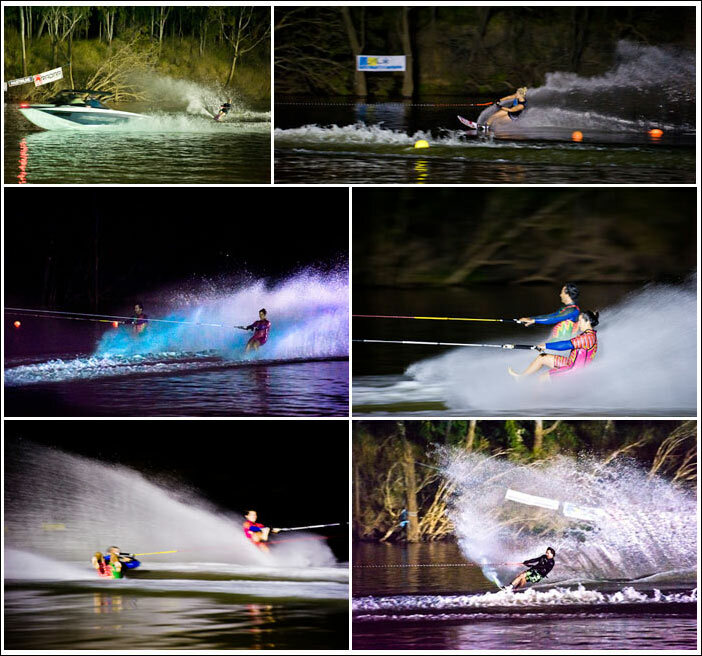 In April 2009 and again in 2010, night water-skiing came to Moura. As the day turned into night a group of Waterski Qld skiers held a night time slalom tournament on the Dawson River with LED GLOW-IN-THE-DARK BALLS. With a record number of entrants, skiers got to experience the thrill of skiing under lights at night. With such a great atmosphere, night skiing is sure to take off in Australia, adding another dimension to the sport.